Crazy Hood Productions is proud to introduce FATHER HOODS! Hosted by KGB, DJ EFN & MANNY DIGITAL. The podcast focuses on the joys and pains of Fatherhood, from the Hip-Hop perspective! 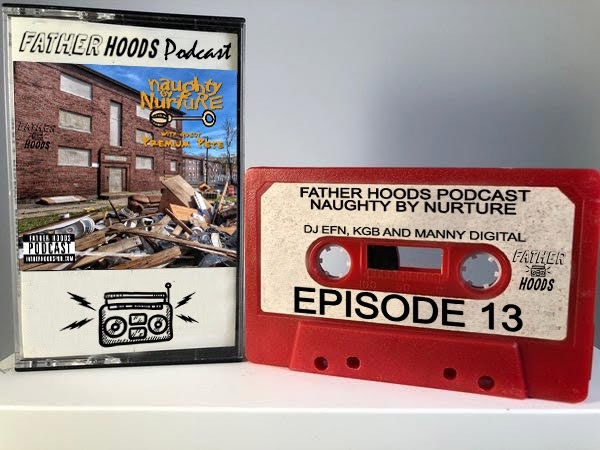 Episode 13 – The Father Hoods get into heavy conversation about the role nature vs nurture play in the development of our children. They also have fellow podcaster Premium Pete stop by to talk about his “Presence over Presents” movement and what life is like dadding a teenager and a toddler.